Our first love here at Tree on a Hill Workshop: custom projects. Our second shop love: beer. 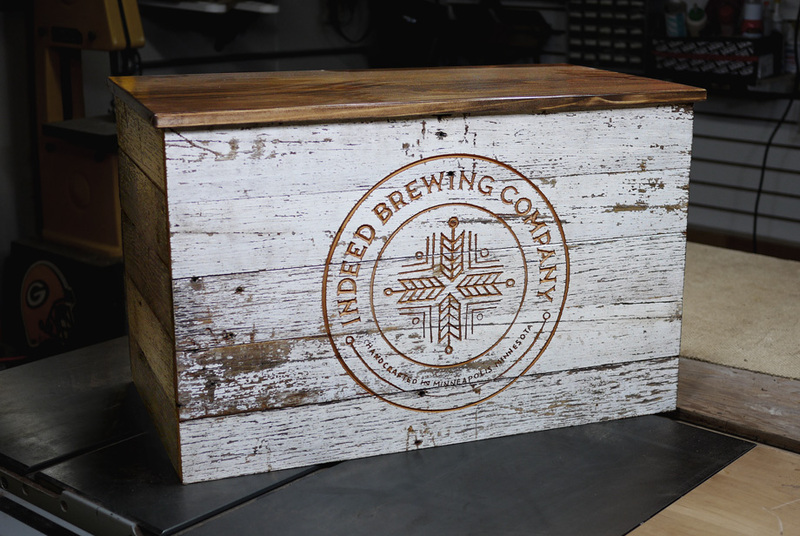 We suppose it goes without saying then that were more than excited to work with the good folks at Indeed Brewing Company on this custom draft box. The three-sided cover is made with reclaimed barn siding, routed with the trusty Shopbot and capped with a stained top. All of which was finished with several layers of varnish to withstand the elements and a bit of beer. We can’t wait to see this with a freshly pulled barley pop sitting right on top of it. Since then, we’ve completed a few other draft box/jockey box projects.